Patanjali Paridhan has a range of products from jeans and ethnic wear to accessories on offer. 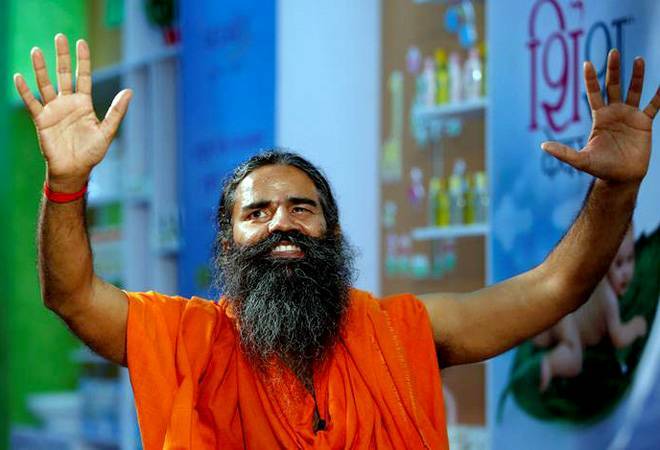 Yoga guru Baba Ramdev has inaugurated Patanjali's apparel store in the national capital on Monday on the occasion of Dhanteras. Located in Delhi's Netaji Subhash Place, the store, called Patanjali Paridhan, is touted to be an "exclusive one-stop solution showroom" of garments. Patanjali Paridhan offers apparel for men, women and children under the brands Livefit, Aastha and Sanskar. From denim and casual wear to ethnic and formals, Patanjali's fashion arm promises to offer around 3,000 products. Baba Ramdev told the media on Sunday: "Patanjali Paridhan with several products ranging from jeans, ethnic wear to accessories will be launched this Dhanteras to counter foreign companies." "Like Khadi led to freedom struggle of the country, the Patanjali Paridhan will be the carrier of new revolution of economic independence in the country. Because clothing is not just a commodity, it's statement of our self-respect, pride personality and identity which can never be compromised in life," the company said. Baba Ramdev announced the clothing line in 2016. Earlier this year, Patanjali Managing Director and Co-founder Acharya Balkrishna said in a TV interview that Patanjali's clothing brand 'Paridhan' would manufacture in-house products. Patanjali Paridhan is the latest addition to the long line of products launched by the company that focuses on 'swadeshi' and all-natural items. Reports had earlier mentioned that under Paridhan, the company is planning to open around 100 stores across metros as well as smaller cities. The idea of swadeshi clothing line emerged around two years back when Ramdev said, "Just because I am a baba does not mean we cannot marry modernity with spirituality, we can make, let's say desi jeans." The same year Balkrishna said, "Jeans is a western concept, and there are two things we can do with western concepts. Either boycott them or adopt them but customise them to suit our traditions. Jeans have become so popular that they cannot be taken away from Indian society. Swadeshi jeans will be Indianised jeans in style, design and fabric."